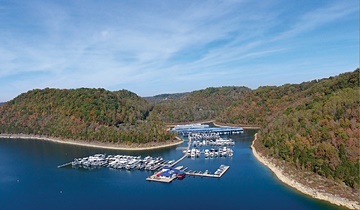 USA: Suntex Marina Investors has further expanded its portfolio with the acquisition of Hurricane Marina on Center Hill Lake in Silver Point, Tennessee. With the change in ownership, the marina received a new 25-year lease with the United States Army Corps of Engineers. Hurricane Marina (right) has 600 wet slips (48 of which were built in 2015), 40 PWC slips and 25 enclosed boathouse slips. Vessels of 20 to 100ft (6 to 30m) can be accommodated. The company has also recently expanded its boat club and rental programme, announcing plans to establish a new Suntex Boat Club at CrossTimbers Marina, just north of Tulsa, Oklahoma. This will be its ninth boat club location in the USA. Six new locations in northern California and Tennessee have also been secured for Suntex Watersports, the company’s boat rental programme. Club and rental fleets have been boosted by 300 new boats. Suntex now manages 46 marina properties in the USA.